Jack Welch was just six years old when he was the Honorary Race Starter for the Run to Fight Children’s Cancer on March 8, 2014. At the time of the run, Jack was two years into his three year battle with this terrible disease. 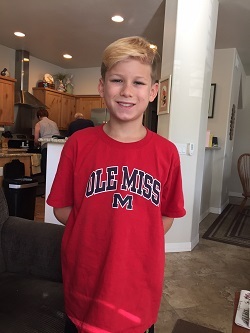 Today, Jack is an active 10 year old, in 5th grade, and loves all sports, especially baseball! Read all about Jack here.